Anyone have experience running 'Aerodrums' with a cheap Windows 10 tablet (x86, Intel Atom QuadCore 1,32 Ghz, 1 Gb RAM ) ? Have many models on the market running Windows 10 x86 (same OS desktop windows, this is not the mobile version). Hey support, can you test for us with this cheap machines ? Im curious about performance and latency, if the tablet can run ok, would be awesome. here you can see a video review about one of this cheap tablets, but is in Portuguese, the guy updates to Windows 10 x86 32bits. I have a linx 8 win10 tablet and have aerodrums working fine. you just have to be very aware of memory usage, ensuring OS not clogged up with other stuff running. wifi off can help too. if you create a custom kit with smaller sized pieces that helps too, since they get loaded into RAM. one hihat set is very large for example and you can ditch that without problem. i did find with a memory optimizer that it drastically reduced usage whilst Aerodrums running, and it only goes back up as you 'trigger' each piece, which can take a while given variations so overall mem use lower. reducing the on screen graphics also helped a bit, and latency was good with onboard wasapi. powering up my usb interface and pseye cam witha hub makes a bit of a wire tangle but processor load is not the issue imo. if can find one with 2gb of ram for a bit more cost it should be happy days. I want find a small package to have togheter with Aerodrums. Lets continue searching. i will check this 2 gb model. 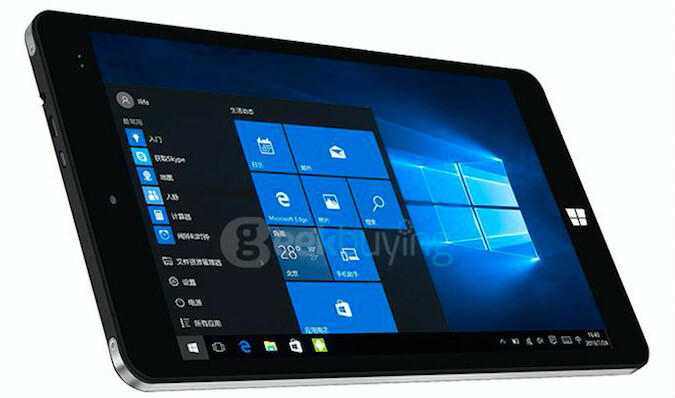 The Windows 10 tablet is currently available for under $100 USD, and can be ordered via the source link below. I bought the Chuwi vi8 and decided to try installing the program. Unfortunately the Aerodrums application is too big for the tablet screen and I'm not able to resize it to access the sound/latency setup! Any ideas? The Aerodrums window can't be resized. We didn't anticipate people would be running it on tablets but it sounds like we should revisit that. I don't know if this is the same on a Windows tablet but normally in Windows, when a window has focus you can press Alt+Space followed by 'm' to enable you to move the window using the cursor keys. If this works, you might be able to position the window to see what you need. You obviously need now a Team to re-write the software to work on tablets. It would not be a bad way to go. Richard wrote: The Aerodrums window can't be resized. We didn't anticipate people would be running it on tablets but it sounds like we should revisit that. Thanks! If portability is high on your agenda at all, it'd be a really neat feature. Sadly Alt+Space + M doesn't work, as the program window (can't be certain about width, but most definitely height) crops to only fit to the size of the tablet screen restricting any information outside of it. eagleeyez wrote: You obviously need now a Team to re-write the software to work on tablets. It would not be a bad way to go. Yeah, I was going for the "ultra-portable" route, shame it's not doable. I even have a wireless audio set to get from source > PA system. Gutted I can't just whip out a camera, tablet, foam pads and sticks. This is an issue that we will definitely fix at some point. Thanks for bringing it to our attention. If you think Aerodrums on your tablet will be usable after setting up the audio settings correctly, you should be able to do this by hand editing the aerodrums.cfg file. Send me a PM if you want assistance with this. I found a free application that makes a virtual resolution for netbooks and windows tablets, i didnt tested yet, but this can solve resolution problems to configure and play Aerodrums in small screens. 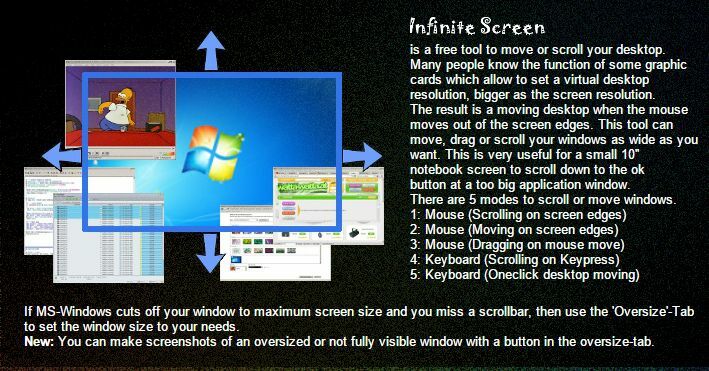 The software creates a virtual resolution, that you can drag mouse and see the rest of screen. 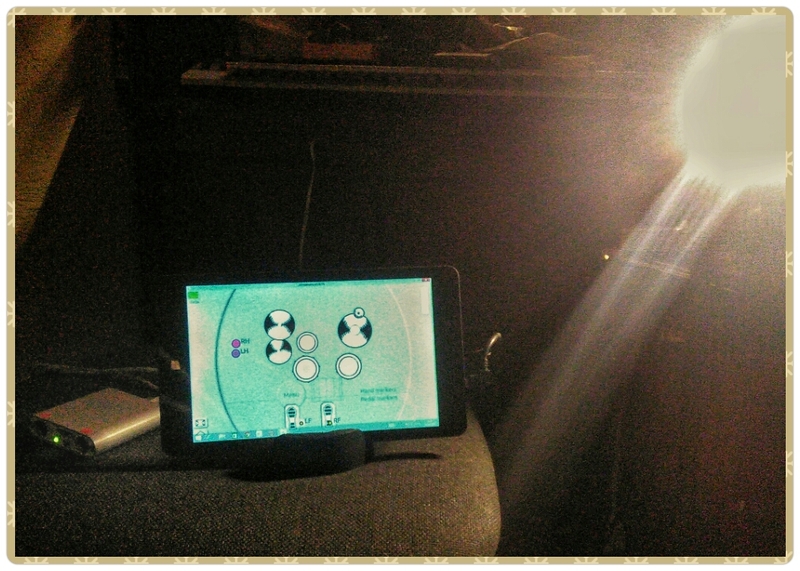 So, the application (aerodrums) think that your real small screen is a big screen.